Is a Roth IRA for a Home Down Payment a Good Idea or a Bad Idea? 2. Can I Use a 403(b) Retirement for a Mortgage Down Payment? Many people looking for extra money to buy a home consider dipping into their retirement savings. If you take money out of your 401(k) or IRA before you retire, you could risk getting hit with a 10 percent early withdrawal penalty on any taxable portions of the withdrawal. If you have a Roth IRA, that taxable portion is smaller than it would be in a traditional IRA; regardless, making a Roth IRA withdrawal for a house down payment may or may not be a good idea. It all depends on how long you've had the IRA, how much is in it and the source of the balance in the account. You can withdraw up to $10,000 from any type of IRA without penalty for a down payment on a house if you're a first-time home buyer, as long as you've had the IRA for at least five years. If you have a Roth IRA, this is also true, but you may be able to take more depending upon how much of the account is made up of contributions and how much of the account is interest earned on contributions. An IRA is an investment account into which you can deposit money to save for retirement. When you put money into an IRA, you can choose one or more different investment funds, and your contributions will be deposited into those funds. The contributions into the IRA, whether they're from you or your employer, make up the principal balance, and the remaining balance is the accrued interest. Contributions into a traditional IRA are typically pre-tax contributions, much like with a 401(k). However, unlike a 401(k), IRAs don't have to be employer-sponsored. If you have earned income, you can open an IRA on your own. Either way, contributions to a traditional IRA are pre-tax, just like 401(k) contributions, so your money comes out of your paycheck before taxes, and you don't pay taxes on it until you receive IRA distributions. As is true of a 401(k), early withdrawals from an IRA may cause you to incur a 10 percent tax penalty. A distribution from an IRA will incur the penalty if the distribution is not a qualified distribution, whether the IRA is traditional or a Roth IRA. The distribution was made either on or after you reach 59 1/2; made because you're disabled; made to your estate or a beneficiary after your death; or made for the purpose of buying a first home (up to $10,000). Qualifying distributions from an IRA are not subject to the 10 percent early withdrawal penalty on any portion of the amount distributed, although you may still have to pay ordinary income tax. Whether your IRA is a traditional IRA or some other type of IRA, you can withdraw up to $10,000 in funds without paying the early withdrawal penalty if you're using the money to buy or build your first house, as long as you're making the withdrawal more than five years after you first contributed to the IRA. What Is a "First-Time Home Buyer"? The IRS will consider you a first-time home buyer if you haven't been an owner of your residence for the past two years. If you're married, you both need to qualify as first-time home buyers to meet the exception requirements. The $10,000 is cumulative, which means that if you've used the first-time home buyer exception before, the amount you took then and the amount you want to take now cannot exceed $10,000 combined. If you have a Roth IRA, you may be able to take out more than $10,000 without paying the penalty. A Roth IRA is a type of IRA that is actually funded post-tax. The contributions you make to a Roth IRA are made after you pay taxes on your income, so when you receive distributions from a Roth IRA, the distributions are tax-free and penalty-free, except to the extent that they are from interest earned. How much of your distribution is from interest versus principal can become a complicated issue under Roth IRA ordering rules. Because Roth IRAs are funded post-tax, you've already paid the taxes on the contributions, and thus the principal balance can be distributed to you completely tax-free. Whether you withdraw $10,000 or $100,000, any part of that amount that is composed of your post-tax contributions will be distributed to you without being taxed, because you already paid the taxes on it. However, any interest you earned on the account is taxable income, as is any amount you rolled over from a pre-tax account. When you withdraw from a Roth IRA, the fund will first pay you from your regular post-tax contributions; then from your rollover contributions; then on the interest you earned on the contributions. To illustrate the ordering rules, say you have $60,000 in your Roth IRA and you want to withdraw $55,000. You've had the IRA for 10 years, and during those years you contributed a total of $51,600, which includes $20,000 in regular contributions and $31,600 from a rollover from your traditional IRA. The remaining $8,400 is interest earned on your contributions. You'll get your already-taxed principal back first, which is $20,000; $31,600 will come from pre-tax contributions, because that amount was rolled over from a pretax account; and the remaining $8,400 will be funded from the interest you earned. Therefore, $40,000 is taxable. If this is a non-qualified distribution, you'll have to pay a 10 percent early withdrawal penalty on the $40,000, but not on the remaining $20,000 that came from your post-tax contributions. The first-time home buyer exception applies to Roth IRAs as well as traditional IRAs. 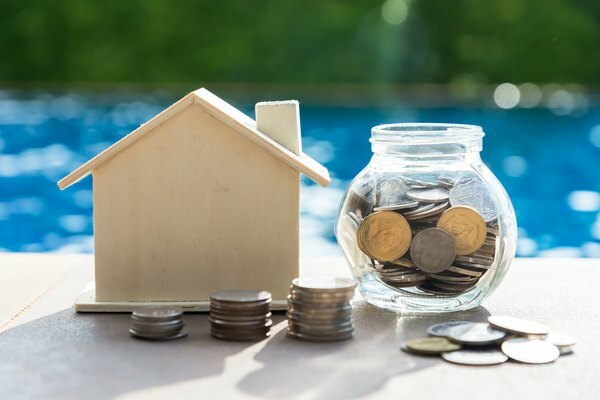 Using the example above, if you want to withdraw the $55,000 from your Roth IRA to put down money on your first home, and you've never used the exception before, you can withdraw the entire $55,000 without a penalty, because the $8,400 of the withdrawal that is interest earned will be included under the exception. However, you'll still have to pay income taxes on that portion. If you're considering using your Roth IRA to fund a first-time home purchase, you should consider how much time you have left before retirement; if you're retiring next year and you empty your IRA to buy a home, you'll be losing an income stream you were counting on after you retire. If you're a young person with decades left to contribute back into the IRA, using the money might not be a bad idea. All in all, whether you should or shouldn't use your retirement account to buy a house is something you should discuss with an accountant or a tax attorney, or even a financial adviser. Can Inheritance Money Be Contributed to a Roth IRA?